EghtesadOnline: French President Emmanuel Macron sharply criticized Poland Friday, saying Prime Minister Beata Szydlo’s opposition to a revamp of European Union rules on cheap labor is one of numerous policies that are marginalizing her country. Speaking in Bulgaria’s Black Sea port of Varna at the beginning of a European diplomatic blitz, Macron campaigned to end the “social dumping” that he says occurs when workers from low-wage countries are hired in other EU nations at their own pay levels for extended periods. He wants to shorten the period for the exemption. 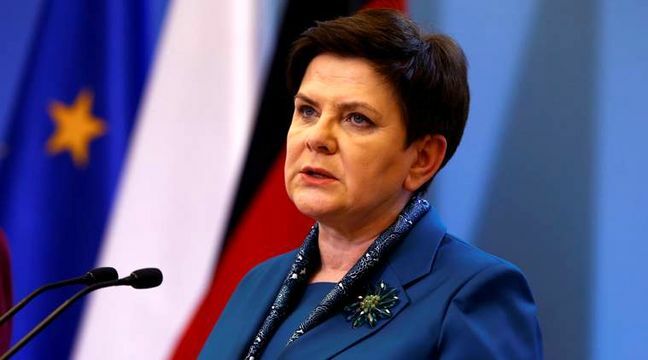 According to Bloomberg, Szydlo issued a sharp response, telling a Polish website that Macron’s comments were “arrogant” and seek to “split” the EU. She reiterated that her government won’t stop defending the rights of Polish workers, arguing that Macron’s proposals would breach fundamental EU principles of free movement of labor and services. For Macron, gaining traction on the issue is part of his effort to reform labor laws in France. At the same time, he was expressing his conviction that the EU exists to bolster living standards for workers across the region rather than to allow some countries to benefit by competing for business with lower wages and weaker social programs. The disagreements are about more than labor. Poland, the bloc’s biggest eastern economy, may face EU sanctions amid an unprecedented standoff over what the union calls an attack on the rule of law. A series of overhauls of the judiciary, for instance, have raised questions over the independence of courts. The nation, along with regional peers Hungary and the Czech Republic, have also ignored EU policy and refused to take in migrants, citing security concerns. Macron should focus on French issues and boosting the French economy instead of criticizing fellow EU members, Szydlo told pro-government website wPolityce.pl. Foreign Minister Witold Waszczykowski said that “Poland isn’t isolated,” citing his meetings on Friday with the NATO Secretary General and the foreign ministers of Romania and Turkey. There are an estimated 300,000 such workers in France. For employers, the advantages are obvious. The minimum wage in France is about 1,480 euros ($1,740) a month. In Poland, it’s about 450 euros. In Austria Wednesday, Romania Thursday and Bulgaria Friday, Macron received indications of support or a willingness to compromise from leaders of those countries, as well as from Czech and Slovak leaders with whom he met in Salzburg.